John Updike’s writing tips appear in a nearly two-minute video published by ​Melville House​: “John Updike’s Writing Advice is Something All Writers Should Try,” by Stephanie Valente. Updike offers young writers insight and advice for the writing process: “Develop actual work habits. Reserve an hour or more a day to write,” Updike says. It has come to our attention that the critical essay “Black Activism: John Updike” by Suchitra Vashisth, an assistant professor at DIT University, Dehradun, Uttarakhand, India, was published last year in the International Journal of English Literature and Social Sciences (Vol. 3, Issue 1; Jan.-Feb. 2018). Here is the link to the entire essay. Richard Rabicoff commented on The John Updike Society Facebook page that he went to the Gaithersburg (Md.) Barnes & Noble and was shocked to see that, for the first time in his life, there wasn’t a single John Updike book on the shelf. Yet, he says, there were seven Roth novels and also lots of Steinbeck and Vonnegut. That begs the question, Are people still reading Updike? Amazon ranks their books in terms of sales, for all the world to see. Not surprisingly, the paperback Rabbit, Run is ranked the highest in terms of sales: ranked #69,140, as of Jan. 26, 2019. But numbers two and three might surprise. Have a look, bearing in mind that these are not the number of copies sold, but the sales ranking, with the lowest selling the most. Not all Updike books are listed—just those that came up in the first pages as the most frequently searched. How does that compare with Steinbeck, Vonnegut, and Roth? The first book to come up in a search is the Penguin Classics Deluxe Edition of The Short Novels of John Steinbeck, which ranks #28,605 in sales. But the paperback edition of Of Mice and Men is ranked #494 in sales, the East of Eden paperback ranks #3,187, Travels with Charley is #9,329, Cannery Row is #17,029, The Pearl is #6,484, and The Grapes of Wrath is #1,598. As for Vonnegut, the LOA Complete Novels is #65,130, while the Cat’s Cradle paperback is #4,115, the Modern Library paperback of Slaughterhouse-Five is #1,397, his Complete Stories is ranked #36,745, and the paperback of Breakfast of Champions is ranked #13,851. Roth? 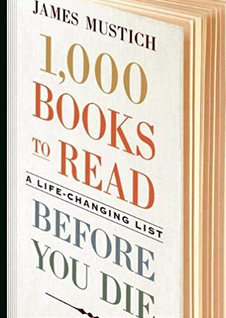 American Pastoral (paper) is ranked #11,790, The Plot Against America (paper) is ranked #7,858, The Human Stain is #16,209, Sabbath’s Theater (paper) is #53,078, and Portnoy’s Complaint (paper) is ranked #31,682. 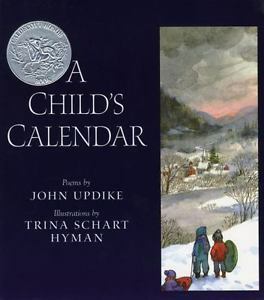 EatReadSleep blogger Cheryl Teal, a collection development librarian, yesterday posted an entry on “A Child’s Calendar, by John Updike and Trina Schart Hyman,” in which she shares her rediscovery of the book and her affirmation that it’s worthy of being considered a classic. Famously before him came poet Wallace Stevens, but John Updike and his fellow writer aren’t the only celebrities to come from Berks County. 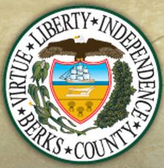 Susan Miers Smith wrote about Updike and four others in a Jan. 2 Reading Eagle story titled “5 celebrities with Berks County connections”—though the lower-case “is” in one book title and “Poorhouse” written as two words would have made Updike cringe. Also included in this batch are singer Taylor Swift, Hall of Fame football player Lenny Moore, actor Michael Constantine, and artist Keith Haring. To that we might add that Updike was one of only a handful of Americans to receive both the National Medal of Arts and the National Humanities Medal in White House ceremonies from two different presidents. And he was one of only three literary writers to appear more than once on the cover of Time magazine—the others being Nobel laureates Ernest Hemingway and William Faulkner. Updike published more than 60 books in all genres: fiction, poetry, creative non-fiction, criticism, drama, and children’s books. 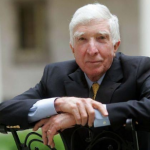 “It is hard to name a major twentieth-century American writer more constant than John Updike. His commitment to his art, his puzzling over the knottiness and nobility (and inconstancy) of ordinary love, his apparent wonder at every subject he embraced, and his delight in the vocabulary at his command to describe them—in every aspect, Updike was a paragon of dedication and productivity. 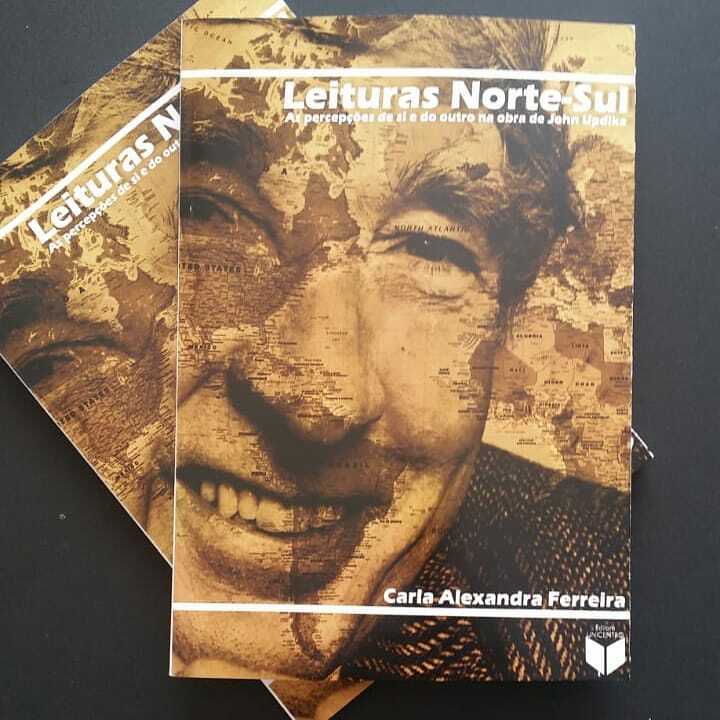 His sentences seem to smile with his pleasure in his vocation, and the uniform physical design and typographic consistency of the many volumes he published over a half century demonstrate how he cherished and groomed his appearance as an author in the world. . . . It wouldn’t surprise us if more and more people gravitated toward the Maples rather than the Angstroms over time, especially given the more explicit sexuality in the latter. 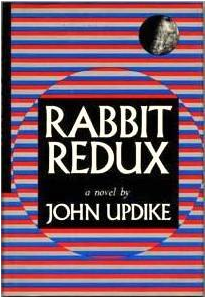 Given all the Updike books available through Amazon, it would seem a natural for them to stream the “Rabbit” series and essentially promote their entire Updike catalog. “Just as a day may come at sunset into its most glorious hour, or a life toward the gray-bearded end enter a halcyon happiness, December golf, as long as it lasts, can seem the sweetest golf of the year,” John Updike wrote in an essay that first appeared in the December 1989 issue of Golf Digest. 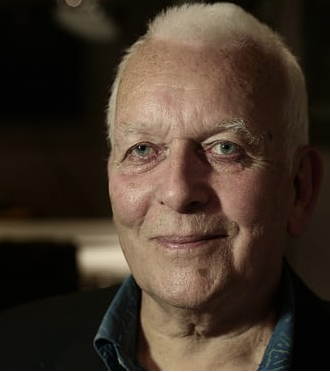 That essay was recently republished and can be read online now, as so many things can. “The course itself—its ice-edged water hazards, its newly erected snow fences—seems grateful to be visited” . 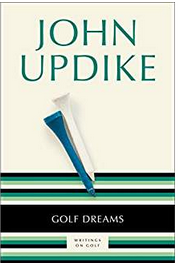 . . as golfers and Updike fans are to have this essay in its entirety pop up this December. “You seem to be, in December golf, reinventing the game, in some rough realm predating 15th-century Scotland,” Updike wrote, exhilarated by the “boarded-up clubhouse” and “naked trees” and absence of crowds in colorful clothing: “just golf-mad men and women, wearing wool hats and two sweaters each, moving on their feet” with a “running tally carried in the head of the accountant or retired banker in the group,” Updike wrote. 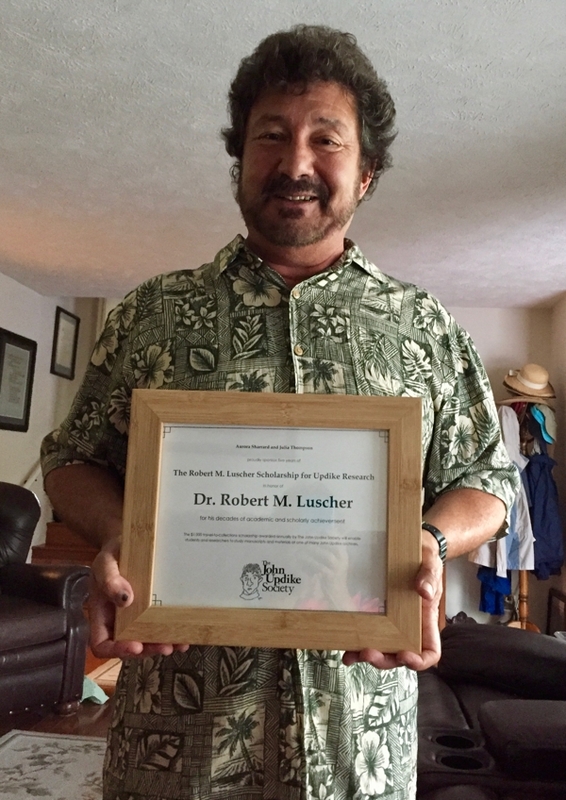 The Robert M. Luscher Scholarship for Updike Research—a $1000 travel-to-collections scholarship awarded annually to enable students and researchers to study manuscripts and materials at one of many John Updike archives (see The John Updike Society website for a complete list of Special Collections) or another proposed archive. Preference will be given to students working on theses and dissertations and to those whose research focuses on Updike’s short stories. Scholars from all nations are invited to apply. The scholarship is provided by Julia Thompson and Aurora Sharrard in honor of their father, an Updike scholar and current board member of The John Updike Society. The society will determine the winner and may, depending upon the quality of proposals, choose not to award the scholarship in some years. Deadline for submissions is May 1 of each year. To apply, send a one-paragraph bio and 1-2 page proposal describing the project and how specifically special collections research is expected to help. Send submissions via attachment to: Peter Bailey, pbailey@stlawu.edu.